It is prudent on your part that before jumping into the field of UX designing that you know what the job exactly means and requires from you. To start with, you must possess some specific skills and knowledge that is complex and different from any average designers. You job description and responsibilities will be much more than the web designers and you will need to approach following the science behind this entire concept. • Creating more intuitive and user friendly software. All these jobs must be done considering all of the basic as well as overall user needs so that they get a better user experience or UX. • They must be adept in designing different platforms and software that will meet all different needs of the users. • They must have thorough knowledge regarding combining different interfaces with workflows so that it helps to augment the user experience. • They must also be extremely creative and analytical while UX designing so that they are able to grasp the different varied needs of the users easily and design a proper and effective solution to any problems. Therefore, if you want to make it big in this field it goes without saying that you will need a very strong portfolio of result driven and successful UX and exceptional knowledge of different other technical projects as well. As a UX designer you will need to look after all different areas of web designing that is beyond the basics. Your ultimate objective is to make a product that is more user-friendly, intuitive and attractive that will help your clients to retain their customers easily so that they have an increase in sales, conversions and business revenue. • Creating and communicating prototypes to the developers. To ensure that you perform your duties in the best ways possible you will need to be abreast and have exceptional knowledge about the market, the demand of the customers, the products of the competitors of your clients as well as the upcoming trends in the specific industry. As for the academic qualification of UX designers, you must possess a BSc degree in Design, Engineering, Computer Science or any other related field. The need for UX designers is ever rising but you will need to have a diverse skill set to excel in this field. It is certainly not a ‘Jack of all trades, master of none’ concept. 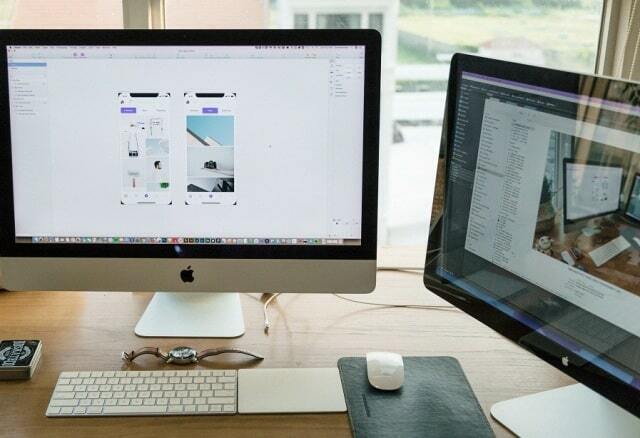 You must have exceptional knowledge about using the most advanced prototyping tools and software such as Justinmind and also have to deliver according to the needs of the users. You must know the ins and outs of the user behavior, their psychology, and much more. • Research- You will need to be very serious and efficient in UX research to create meticulously thought and crafted mobile apps or websites. You must know lost about cognitive psychology, computer science, engineering and analytical tools for your design process. • Collaboration – You will need to collaborate with web developers and designers to ensure the best results in coding, designing, managing projects, understanding the product and its marketing. • UX Writing – This is the unsung hero but in UX this plays a very significant role and you should know to play it well. Just like coding requires exceptional skill set, you will it too for UX writing as well to create intense user experiences. • Visual Communication – This is another knowledge that you cannot do without if you want to be a successful UX designer. Since all humans are visual animals, visual communication is the heart of UX. Therefore, ensure that you brush up your skills in UI design to create better assets, vivid icons, clear presentations, and more interactive prototypes and mockups. User empathy is one of the most important things that you cannot do without if you want to know their problems and find the best solution to it. If you have no empathy you will be detached from the end users and eventually fail to design a solution for their needs thereby create a terrible UX in the end. I hope you enjoyed this blog post about different responsibilities and skills of a professional UX designer in today's job market. Interested in more articles about user experience and web design?